Base Offers The Foundation For 72" Wide Lorell Rectangular Conference Tabletops. Open Design Includes Four Black Steel Legs With Steel Crossbars For Stability. Steel Is Powder-Coated For Durability. 1" Thick Tabletops With A Knife Edge Come In Mahogany And Walnut Laminate And Black Glass And Are Sold Separately..
Base Offers The Foundation For 72" Wide Lorell Rectangular Conference Tabletops. Open Design Includes Four Black Steel Legs With Steel Crossbars For Stability. Steel Is Powder-Coated For Durability. 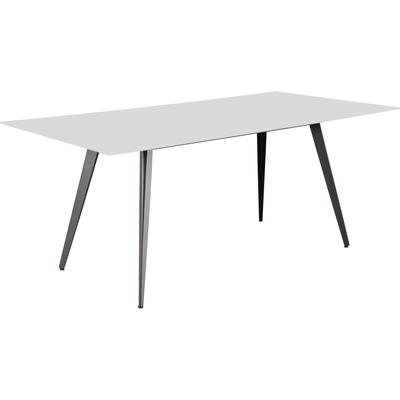 1" Thick Tabletops With A Knife Edge Come In Mahogany And Walnut Laminate And Black Glass And Are Sold Separately.